Lebanon is classed as a middle income country, yet for the 10% of its population who are living with disabilities life can be a huge challenge. In this podcast Sylvana Lakis, programme manager for the Lebanese Physically Handicapped Union, a Christian Aid partner, talks about their work at all levels of Lebanese society in promoting the rights of people living with disabilities. From challenging the law, to helping people find jobs, LPHU believe that a society based on equal rights for all is the only way that justice can truly be achieved. 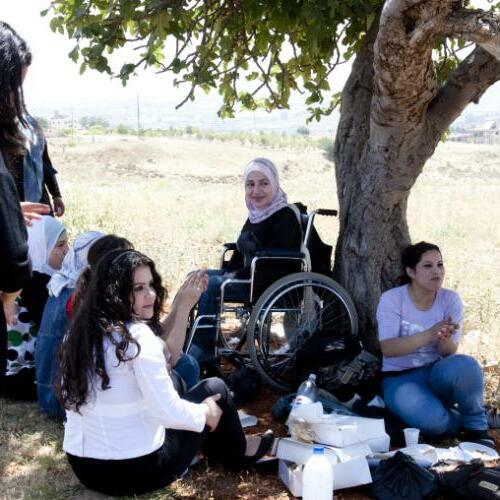 #Lebanon, #MiddleEast, #Disability, #Disabled, #HumanRights, #Development, #ChristianAid, #Employment, #Law.